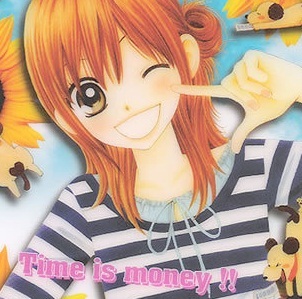 Haruno Yomogi is a high school girl who is obsessed with money. She would do absolutely anything (except for anything pervy and painful) to get some. Since she treasures money so much, love is probably the last thing on her mind. However, Wakky and Natsume, her childhood male friend looks strangely attractive lately. Maybe, just maybe she might experience romance and love for the first time? I don’t usually review a manga but I’ll do something different this time. This is not an exceptionally great manga or anything but since it’s the first ever manga that I read (as far as I can remember), I think it deserve some sort of special treatment by me. So now, I’m going to review a shoujo manga that I first read 4 years ago. Of course I reread it for the sake of this review. Oh, and I didn’t watch anime yet at that time. Lately (or maybe a long time ago but I just didn’t notice), there has been a lot of English fan covers of anime songs most of it are anime openings and endings. I’ve been listening to their covers every now and again and every time I listen to them, they always amaze me. If I don’t know the original song, I don’t listen to the fan covers so my exposure towards fan covers are limited but again, they always amaze me. Cocoa Hoto moves into a new town and have to stay at a place called ‘Rabbit House’ soon finds out that Rabbit House is actually a coffee café. She has to work as a waitress at the café to pay for her accommodation. While working and schooling there, she meets with many colourful people and have fun working and spending time with them in the new place she’s living. After witnessing Attack on Titan, I wanted to watch something with a more toned down atmosphere. Something which has nothing to do with killing. Something more calm. 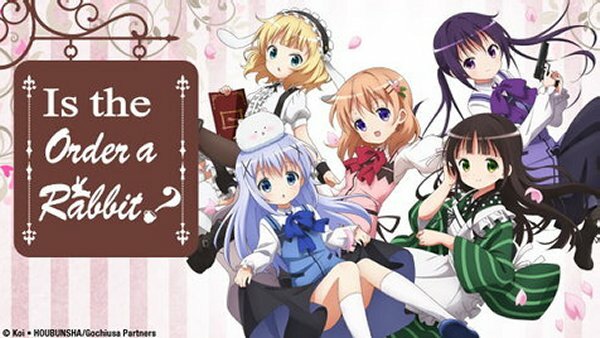 Well, it turns out that I found this adorably cute moe anime series. I thought, even if the anime is just Moe blob slice of life where nothing happens, it’d still be a good choice of anime to watch. I found this anime through Yamaki’s review. I felt super relaxed when I read his review not particularly because of his words but because of the pictures (wait what?). The serene feeling that got to me was so strong I thought this must be the anime I was looking for. Why not give it a try? It might be good. Well honestly to me, it’s really good. 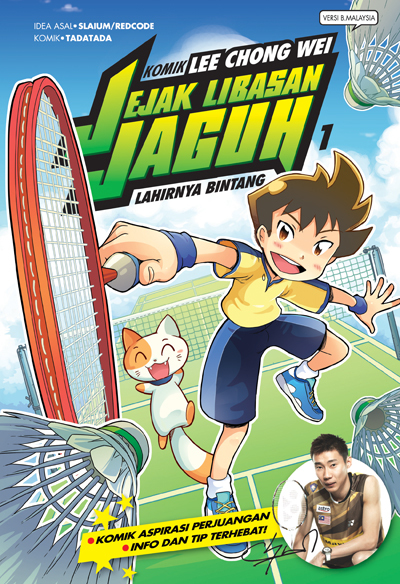 It’s a story about an ordinary boy named Lee Chong Wei when he was a kid. He starts to play badminton only because he is trying to save a cat from a cat bully. He is brave enough to accept the cat bully’s challenge which is a duel of badminton even though he is not good at it. A local badminton coach sees them play and sense something special about Chong Wei thus, offers himself to coach him. That’s where it all begins. This comic is more or less the biodata of Malaysia’s number one badminton player, Datuk Lee Chong Wei. In order to spice things up, parts of the story is not true. Well, they have to lie a little bit to make the story interesting because if not, no one would buy it right?